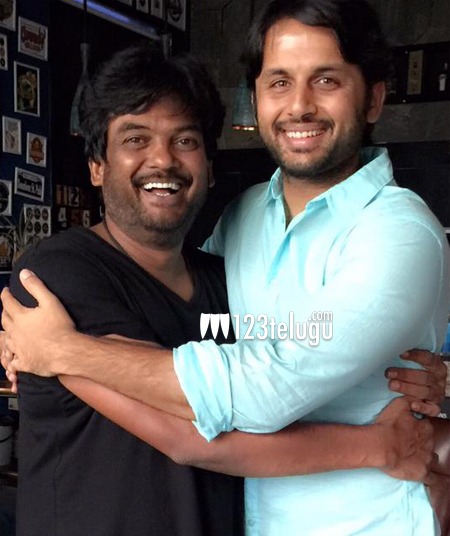 Finally, the suspense over Nithiin and director Puri Jagannadh’s film has ended. Confirming the month long speculations, Nithiin tweeted a while ago, “Just nw tuk final narration of our film vit @purijagan packed heart touching entertainer,shoot fm June 15”. With this announcement, fans of both the stars breathed a huge sigh of relief and started wishing the handsome star the best. Puri Jagannadh has been working simultaneously on the scripts for Nithiin and Megastar’s 150th film. Since Jagan is finally free from the post-production work of his upcoming release, Jyothilakshmi, and that there is enough time before he commences Chiru’s comeback film, the maverick director decided to wind up the film before he plunges into Megastar’s film. The film’s cast and crew details will be announced very soon. Keep watching this space for all the updates about the film.